If there is any smartphone in 2017 with the best camera out there, it is the Google Pixel 2 ( and Pixel 2 XL), and we have already seen the phone defeating the likes of Note 8, iPhone X, etc. in the camera tests. It is impressive to see that Google didn’t go for the dual camera setup on the new Pixels but instead, both the phones have a single rear camera. Despite this, the Pixel 2 is the best device right now to capture images with the Depth effect (Portrait Mode), thanks to the software part. So, the Pixel 2 is a phone that is a perfect mix of great hardware and impressive software. Google has also embedded a separate Pixel Visual Core chip in both the Pixel phones that improves the camera performance a bit and with the rollout of the Android 8.1 developer preview for Pixel 2 & Pixel 2 XL, you can now enable Pixel Visual Core chip. 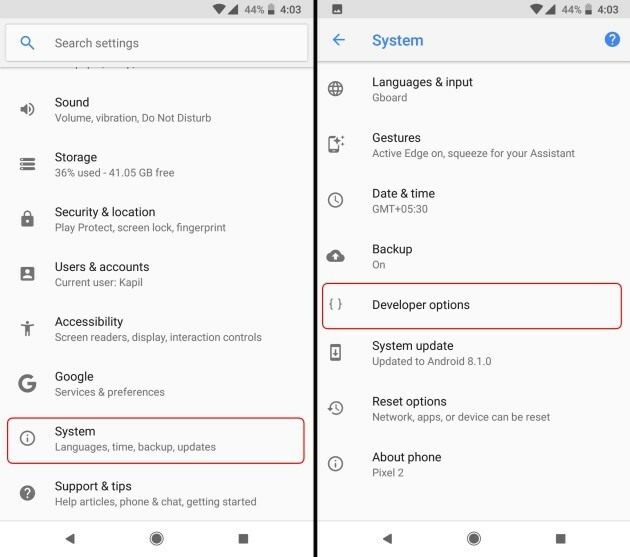 Before starting with the steps to enable the chip, make sure that you have the latest Android 8.1 developer preview installed on your Pixel 2 or Pixel 2 XL. Once that is installed, follow the steps below. 1. First, head to the Settings of your phone and then, go to the System > Developer options. IF you don’t see any ‘Developer Options’, go to About Phone’ and then tap the build number 6-7 times. Now, you will get the option in the Settings. 2. 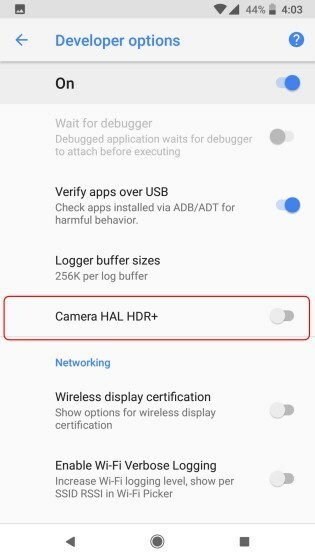 Now, all you need to do is Open the ‘Developer Options’ and then turn on the Option that says ‘Camera HAL HDR+.’ This will enable Pixel Visual Core Chip on your phone. 3. Lastly, do a simple restart, and there you have it. You might now see much difference in the image quality before and after enabling the chip, but if you use any third party app to capture images or videos, that app will be able to use this imaging chip for better image and video quality. Well, these were a couple of steps to enable the Visual Core chip in the Pixel 2 and Pixel 2 XL. If you have any questions, feel free to ask us via the comments section below.